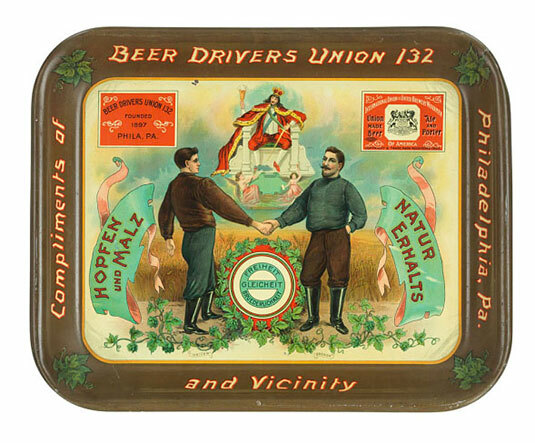 This spring, the museum announced a new initiative to collect, document, and preserve the history of brewing, brewers, and the beer industry. Brewing and beer have been an important part of the American experience since before the nation’s founding and continue to shape industry and community life into the present day. The American Brewing History Initiative will explore how beer and brewing history connect to larger themes in American history. As American brewing continues to expand and change, and our understanding of the role of beer in American history deepens, the museum is uniquely positioned to document the stories of American brewers and collect the material culture of the industry and brewing communities for the benefit of scholars, researchers, and the public. The position will go to a trained historian, not a seasoned beer taster: The successful candidate will have an advanced degree in history, American studies, or a related field, as well as evidence of scholarly research. The ideal candidate should know the historiography of brewing and be comfortable designing a research plan, using material and archival sources, organizing and conducting oral histories, writing for both scholarly and popular audiences, and speaking to the media. We hope the historian will document technological and business innovations in brewing, advertising history, and the role of beer in consumer culture and community life. While we love experiencing history firsthand, this position is not about drinking on the job—it’s about going beyond the glass. The brewing initiative is part of the Smithsonian Food History program and is supported by the Brewers Association: For over 20 years, museum staff have researched and documented how food, drink, agriculture, and culinary traditions help us understand American history and culture. Recognizing the need to document brewing history, the Food History team reached out to the Brewers Association of Boulder, Colorado, the not-for-profit trade association dedicated to small and independent American brewers. The Brewers Association generously agreed to provide financial support for the new initiative, which includes the new historian position at the museum. The position is not funded by federal tax dollars. In fact, private donations are critical to our mission. The job is in Washington, D.C.: The successful candidate will be based here in our nation’s capital and must be in residence at the museum so as to work with members of the curatorial staff and the larger Smithsonian Food History team. The new historian will study and build on the existing collections and assist with public programming in a wide variety venues, including digital formats. Beer history is part of American history: The focus of the project is on the long history of brewing in the United States from the early national period to the present day, including the history of craft brewing. The Brewing History Initiative, like all of our projects at the National Museum of American History, is rooted in research, collections, and creative public engagement. As our mission states, we help people understand the past in order to make sense of the present and shape a more humane future. The Brewing History Initiative will also feature two public programs every year, with the first one happening at the Smithsonian Food History Weekend on October 29, 2016. For updates on our progress with the project, and to learn more about upcoming programs, sign up for the Food History email list and receive food history right in your inbox. Susan Evans is the director of Smithsonian Food History programs at the National Museum of American History.